On Display - Sole Bowl Co.
Where can I go for the Sole Bowl experience? These businesses feature one or more Sole Bowls for clients to enjoy. 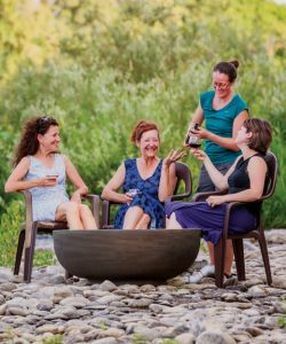 Please schedule a visit with one of them to see and feel the wonders of a relaxing soak in a Sole Bowl. These are just a sample of the businesses that are proving the Sole Bowl is the trouble-free, convenient way to bring relaxation and comfort to the tired feet of the world. Other locations include Battle Ground, Port Townsend and Stevenson, Washington, Lyons, Colorado, Prescott, Arizona, Coral Gables Florida, Dundee, Scotland and Sydney, Australia! Our retailer in Japan, Spatecno, has installed at least 50 Sole Bowls in businesses and retirement communities around Japan.